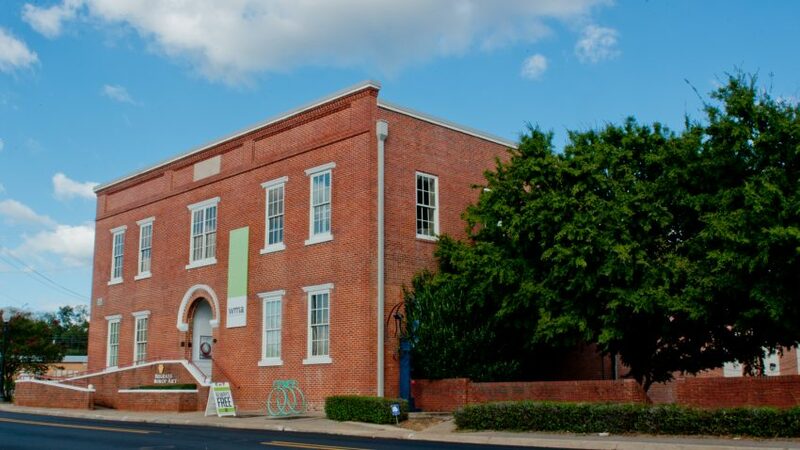 DOTHAN, Alabama – March 6, 2018 – The Wiregrass Museum of Art (WMA) is pleased to announce its acceptance to the 2018 Collections Assessment for Preservation (CAP) program with the American Institute for the Conservation of Historic and Artistic Works. WMA was selected into the CAP program in a highly competitive year, with 60% more applicants than in the 2017 program year. The CAP program provides small and mid-sized museums with partial funding toward a general conservation assessment. The assessment is a study of all of the institution’s collections, buildings, and building systems, as well as its policies and procedures relating to collections care. Participants who complete the program receive an assessment report with prioritized recommendations to improve collections care. CAP is often a first step for small institutions that wish to improve the condition of their collections. WMA will receive funding from the CAP program to hire a collections assessor and a building assessor to complete a general conservation assessment, who will work closely together throughout the process. The museum’s Director, Dana-Marie Lemmer, will serve as the project contact and will oversee program activities with support from WMA’s Board of Trustees, who will continue to prioritize preservation best practices and museum industry standards in the care of WMA’s Permanent Collection. “Acceptance into this program is a high honor and a critical step towards achieving our strategic goals set last year. Museums like WMA are responsible for holding a permanent collection in the public trust, providing access, interpretation, and educational opportunities around those works. The assessments completed as part of this programwill provide guidance to the museum in improving collections care, ensuring that industry standards are being met, and provide recommendations for preservation priorities both both the physical collection objects, as well as the historic building the collection is housed in,” said Lemmer. With a comprehensive assessment for WMA’s collections and facilities, museum staff and Board members will work to accomplish long-term and ongoing preservation goals. All CAP program activities are to be completed by December 31, 2018. The Foundation of the American Institute for Conservation of Historic and Artistic Works (FAIC) administers the CAP Program under a cooperative agreement with the Institute of Museum and Library Services (IMLS). FAIC’s CAP Program staff is responsible for developing program materials with guidance from a Steering Committee, reviewing applications, guiding assessors and institutions through the process, processing assessor payments, and evaluating and adapting the program.